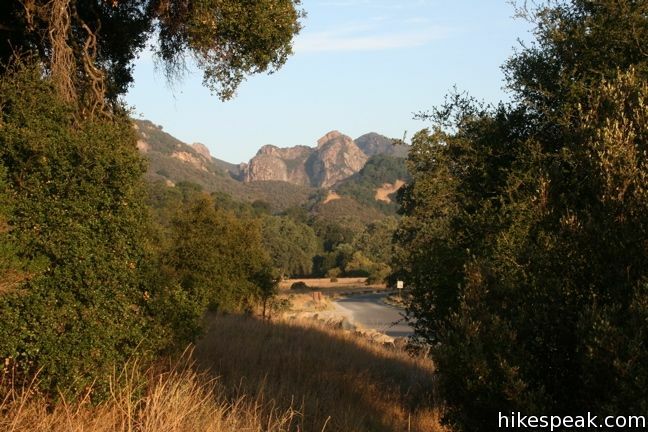 Malibu Creek State Park is a popular destination for campers and hikers who want to experience the beauty of Malibu’s mountains and canyons. 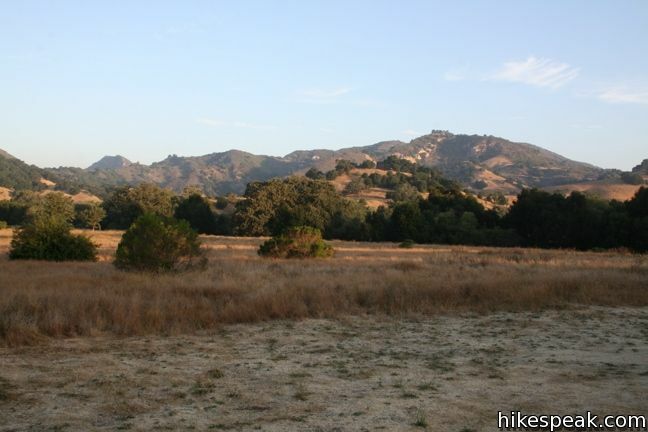 The 7,000-acre park boasts a good amount of trails, including the popular hike to the former set of MASH. Located just 35 miles from downtown Los Angeles, Malibu Creek State Park offers a quick getaway for residents eager for a night in the outdoors. 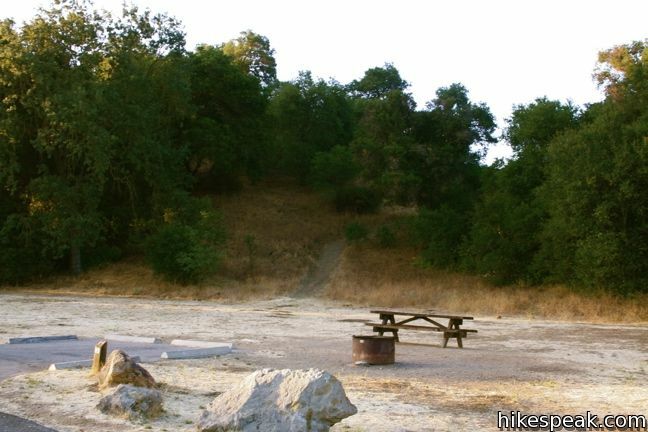 The year-round campground boasts 63 sites, offering picnic tables, fire rings, flush toilets, coin showers, and a dump station. For a good overview of the facilities, review this park brochure. Woolsey Fire Update: The campground and most of Malibu Creek State Park are closed following the November 2018 Woolsey Fire. An ongoing police investigation is also restricting campground access. Check the Malibu Creek State Park page for more information. Aside from those negatives, the campground provides the setting for an enjoyable weekend escape with friends and family. 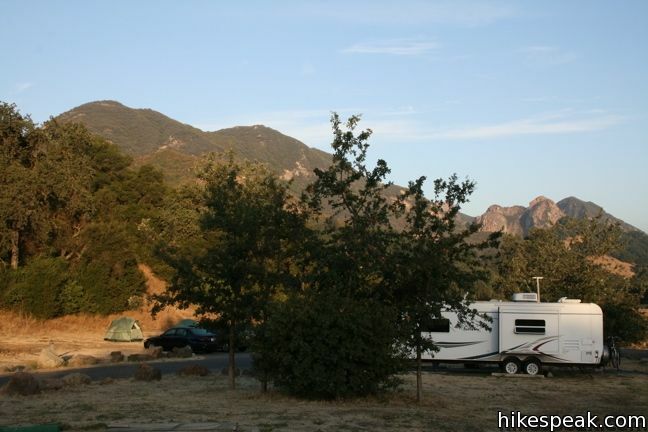 This is a popular campground, so reserve a site online before heading to the park. 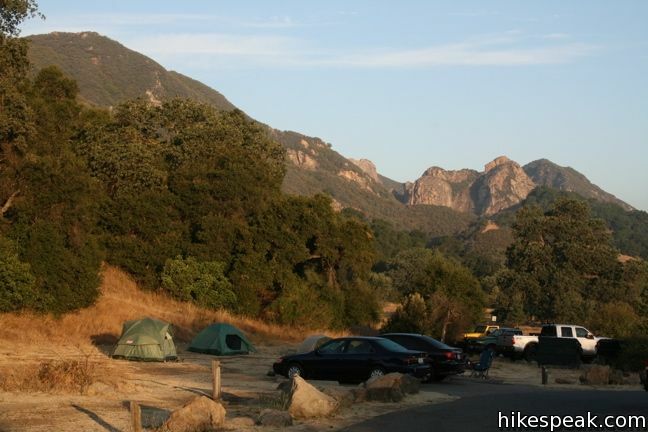 To get to the Campground: Malibu Creek State Park is ten minutes inland from Pepperdine University and the beaches of Malibu. The entrance to the park located on the west side of Las Virgenes/Malibu Canyon Road between the 101 and PCH, 5.7 miles from the coast, and south of Mulholland Drive. This coastal Malibu campground offers 135 sites with easy beach access and nearby trails. we are camping here next weekend, and would love to bring our dog, but are their any hikes we can take the pup on with us? I guess dogs are not generally allowed on the trails in state parks, but is there something close by? Just wondering if we should bring the pooch or leave her at home with friends. Yes. Outside of Malibu Creek State Park, there are plenty of trails that allow dogs. Calabasas Peak is a good nearby trails that is dog-friendly. You can find more suitable trails by using the Hike Finder Map. Uncheck the box that says “doesn’t allow dogs” to only see the trails that allow dogs. Is it safe to go night hiking in Malibu Creek? I have reservations for next month. Are dogs allowed at Malibu State Park? Dogs must be on a leash at all times and must be inside a tent or RV at night. Dogs are not permitted on trails. are there any cool sites nearby to go exploring? I will be riding my motorcycle from Florida to California in August 2017. I will be tent camping along the way. 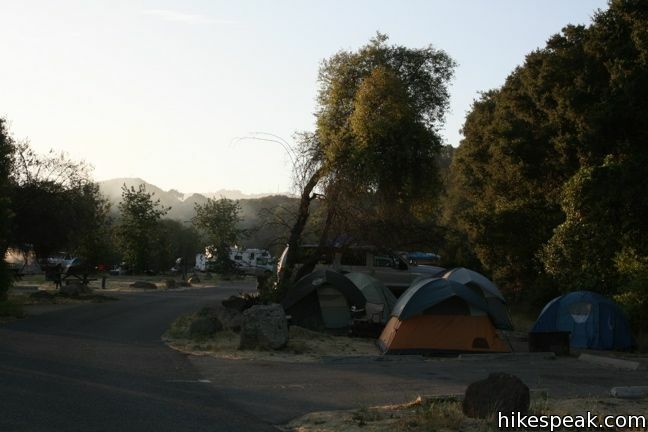 Does Malibu Creek State Park allow tent camping? If so, are reservations required?